Our Contracting Division was replacing a few driveways, sidewalks, and walkways at a community in Monroe Township, NJ and needed concrete delivered to do the job. 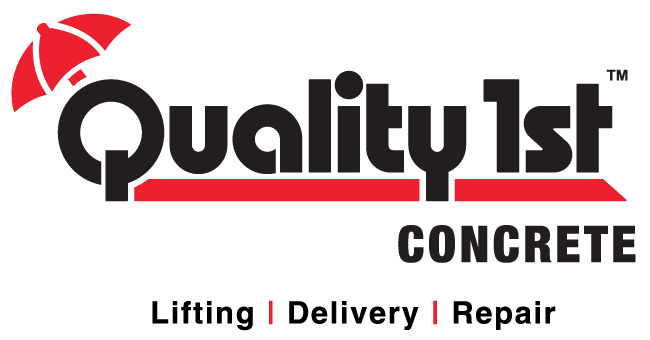 Quality Concrete and Quality Contracting have worked side by the side for over 10 years to make sure high quality materials are used to perform all concrete replacement jobs. The Concrete coordinator booked the delivery and made sure the driver the all the information needed to get to the job site. Sean, the Field Supervisor, checked then loaded his truck to make sure everything was good to go for the pour. When he arrived at the job site, the Contracting Crew had all the areas that needed to be replaced nicely framed and formed out. Sean backed the truck up to the first driveway to start pouring, and mixed fresh concrete right there and then. Once a section of the driveway was poured, the Contracting Crew floated and edged the concrete. After the driveway was finished, Sean and the contracting crew moved over to the sidewalk and walkway areas. The truck was parked right at the front of the property and the chute was place right over the framed out sidewalk to pour the concrete straight out of the truck. For some of the walkways wheel barrows were used to transport the concrete form the truck to the areas that were being poured. The concrete was taken out in a timely manner, and the all sections were nicely replaced. At the end of the delivery, the job was successfully completed and the homeowners at the community were very happy with their new sidewalks, walkways, and driveways.